September 25, 2018 December 1, 2018 Comments Off on Why Is My Car Shaking? That is certainly a question no automobile owner wants to ask yet it’s a rather common query among drivers, particularly those with older vehicles. The answer isn’t exactly straightforward either as automobiles are basically a collection of hundreds of moving parts and any one or more of them could be the culprit. With so many components rotating and vibrating all at once, you could be left checking multiple areas of the vehicle before you finally get to the heart of the problem. The issue may become more readily apparent at higher speeds which may also help to narrow down the possibilities of where your issue may lie. But in most cases, the reason your car is shaking is because of your tires. We’ll take a look at some of the other areas that could be the cause of the problem as well, some of which you may not think about when trying to diagnose this nagging headache. Here are some car care tips from your friends at Aarrow Transmissions car repair to help keep your vehicle driving nice and smoothly on the road. No matter how fast or slow you may traveling when you press down on the brakes you begin to feel the car shimmy just a bit. The harder you hit them the more pronounced that shaking becomes. Not to worry, this is a common problem and one that can be solved rather easily. 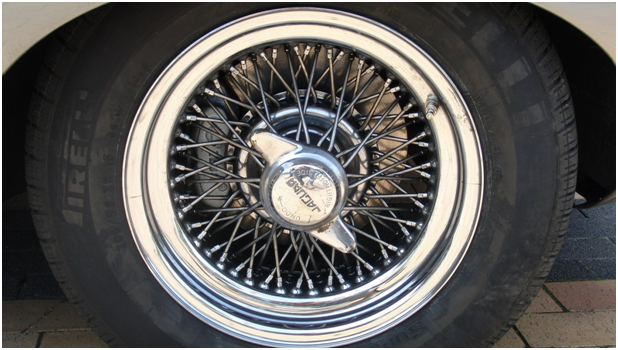 The source of the issue is usually warping found in the brake drums or, more often than not, the rotors. These components are designed to be perfectly circular and when there is even the slightest deviation from that shape it can result in vibration. 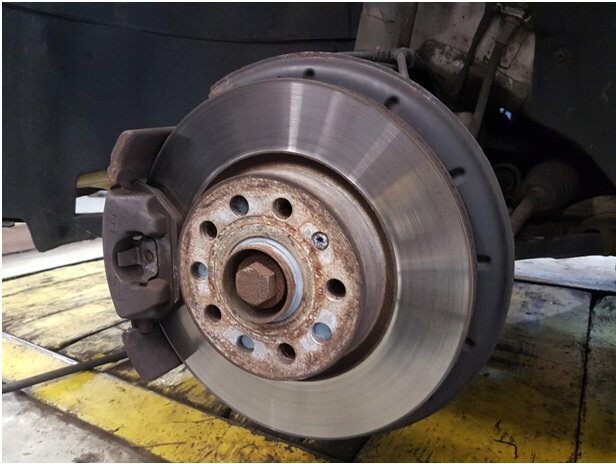 It comes when you step on the brake, triggering the calipers to clamp down on the rotor to slow the car. This action can produce some serious heat, enough to eventually warp the rotor and slightly alter its shape and when that happens you can feel the effect of the shaking when you brake. Solving the problem can be accomplished by having the rotors machined so they are uniform again, but there is a finite number of times you can have this done before you need to replace them entirely. If you feel the front of the vehicle shimmying when you drive at certain speeds yet not every time you drive those speeds, it could be an issue with the suspension of the vehicle. The reason for this is due to one or more loose parts in the suspension. The bearings are often the most common issue but it could be any number of potential causes. When a part of the suspension is loose it can trigger a wobbling reaction that can be felt quite dramatically throughout the car. It is usually detected from hitting a bump and if typically doesn’t relent until you slow down. This could be an easy fix or something more complex but you won’t be able to tell until you have a mechanic get in there and check the suspension thoroughly. As you might expect, the tires on your car can have a tremendous impact on the way it drives simply because they are the very things that you are running on. If there’s any type of issue with those, you are surely going to feel it. Fortunately, tire problems are easy to diagnose by checking the condition of the tire to detect any flat spots or cupping that may have occurred. Both of these are easy to detect, cupping happens when there is an uneven curved surface felt along the tread. Run your finger along the edge, if one tread row is raised, the next one smoother, and the one after that raised like the first, that is distinct evidence of cupping. Flat spots are even easier identify. Just rotate the tire and check for any visual indications of actual flat portions on the surface of the rubber. If any of your tires have flat spots, you’ll certainly feel it when you’re moving at even moderate speeds. The truth is just about anything can give your car the shakes if it malfunctions significantly enough. You could be feeling it due to something wrong with your transmission or the motor mounts on the vehicle have been worn down and you really feel it when you’re going up hill or pushing down on the accelerator. Even the drive line, an out of whack wheel alignment, or just simply being low on fuel can all have an effect on the motor vehicle to make it shimmy and shake. But one thing is for sure, bring your car in to be looked at by qualified mechanic at the first sign of a problem. If you allow something like this to continue, the problem causing the wobbling motion will only get worse and that could result in further damage being done to the automobile.